The Chicago musical put on by BHS students and directed by Dominic Cattero was performed in the BFAC on Nov. 7-10. The Spectator sat down with Mr. Cattero and asked him a series of questions. One of the biggest things The Spectator wanted to know was how did this show differ from past productions and if it was more challenging? “Every show is different in its own way and presents its own set of unique challenges,” Cattero said. “Chicago is no exception. 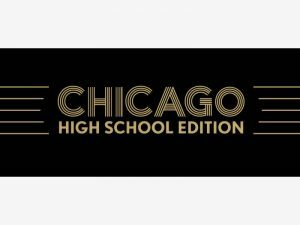 Not that it is difficult, just in that a director’s job is to always find the best way to tell a story to an audience” Even with the challenges faced when putting on this show Cattero managed to find his own way of sharing the story of Chicago. Seeing that Chicago has been produced many times before Cattero believes it is important to create one’s own interpretation of the musical. “No director should ever follow a way something has been done by someone else,” Cattero said. “A particular version of a show is someone’s intellectual property, and they actually hold ownership rights to those ideas.” Due to these reasons Cattero did not follow other directors interpretations and found his own way to tell the story. These measures have to be taken so there is no plagiarism involved. Also, Cattero explained that the students were remarkable to work with and very accepting of his ideas. The students were collaborative, inspirational, and true artists according to Cattero. Many hours were put into this musical. The students have been practicing Monday through Friday, balancing school and rehearsal. Another element incorporated in Chicago was the use of new technology. “There is a motorized floor which is pretty incredible and allows the set to help tell our story of truth,” Cattero said. The use of this stage allows the set, musicians, and actors to interact and engage with the audience. With this new technology, some scenes were able to be performed more realistically. For example, one scene called the Hungarian Hanging involves a woman who is pronounced guilty and is hung as punishment. The different stage allows this particular scene to appear more real. All of these factors came together to build Cattero’s vision of Chicago the musical.